It was a few days after Elliott’s birth when Rich and I drove to Chesapeake City in Maryland. A dear friend offered us a family beach house for a few days to rest. It was quiet – our phones didn’t work and there was no internet or cable. We read books and played on our game console. We cooked a little bit and ate lots of seafood. We talked together. We cried together. We remembered together. I announced my pregnancy to some of my closest friends in a confession thread on Facebook. Usually reserved for silly confessions like terrible food that we love and not-so-nice ways we behave, I took the opportunity to share that I was an almost-40-year-old unwed mother. I had shared the news with others and received some disappointing reactions, so I had held back the news from them, not ready for another negative response. Instead, I was met with virtual hugs and hearty congratulations. They reminded me that life is precious and worth celebrating, even when the circumstances aren’t perfect. I remember being at the funeral home after my mom had passed away. It was a difficult couple of days, remembering my mom who was gone too soon. My mom, who would never have the chance to see this grandchild. My mom, who I had never even told about my pregnancy. I was sitting down during one of the few times of quiet, before the throngs came to tell us how sorry they were she was gone. Before we would have to close the coffin and I’d never get to see her face again. In that quiet, where death was heavy on my mind, I felt the first fluttering movements. Quickening, it’s sometimes called. I like to think about one morning when he was particularly active, about a month before his death. He was rolling around, keeping me from finding a comfortable position, doing those crazy acrobatics that only 7 month old fetuses are able to do. Rich moved down to my midsection, placed his hand on my swollen belly, and began speaking directly to our child. As Rich spoke, Elliott calmed inside of me. He knew his father’s voice. We only had a little bit of time to hold him after he was born. The nurses who had shown us so much kindness during the previous 24 hours swaddled him and brought him to us. I had been afraid to look at him at first, afraid something might be wrong, but he was perfect and when he was in my arms, I wanted to memorize every feature. We passed him around, each of us whispering prayers into his unhearing ears, kissing his unfeeling skin. With us – that day and every day since – but not with us. 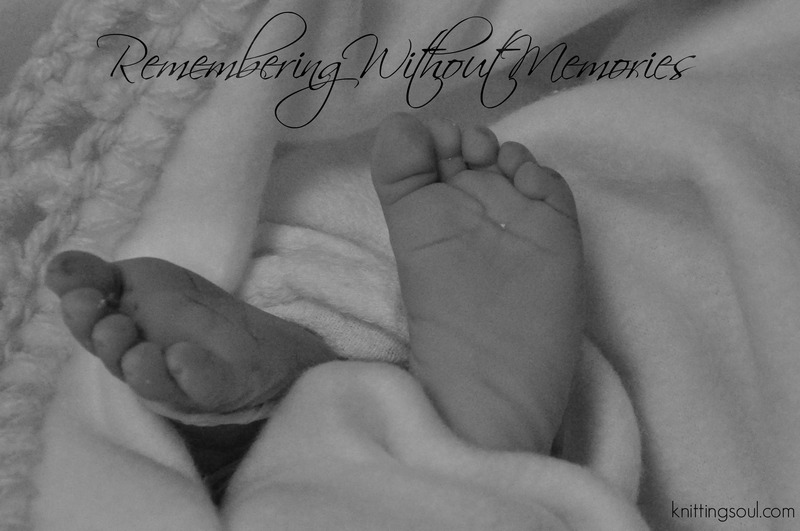 Today is Pregnancy and Infant Loss Remembrance Day. As 7:00 PM happens across the world, parents, families, and friends will light candles to honor their lost little ones. Not a day goes by that I don’t think of Elliott. He will forever be a part of my story. But on the other hand, I have very few memories. When you lose your child due to miscarriage or stillbirth or in the first days of life, there isn’t time to make memories. There isn’t time for their stories to be written. My memories are of the kindness of friends in our most fragile days. They are of little moments we had planning a life that would have had a toddler and a high school senior. They are of evenings on the couch with Rich’s head in my lap, listening, feeling the three of us connected. You can help parents remember their children. Let us say their names. Let us share our ultrasound pictures and photos of their birth. Let us share our smiles and our tears. Let us remember our sons and daughters. One of the most helpful things for me as the parent of a stillborn child was receiving pictures of him, like the one I used in this post. If you are looking for a way to help other parents who have suffered the loss of a baby, please consider donating to Now I Lay Me Down To Sleep, an organization that provides free pictures to grieving parents. I am writing a book entitled Embracing Grief that deals with this and other areas of grief and the way that we need to bring it close. Each Friday I am sharing an excerpt in my newsletter. You can sign up here for the newsletter as well as for information about pre-ordering and how you can receive a free copy. This entry was posted in Grief and tagged death, grief, infant loss, pregnancy, Pregnancy and Infant Loss Remembrance Day, stillbirth. Bookmark the permalink.